KEN YUSZKUS/Staff photo. 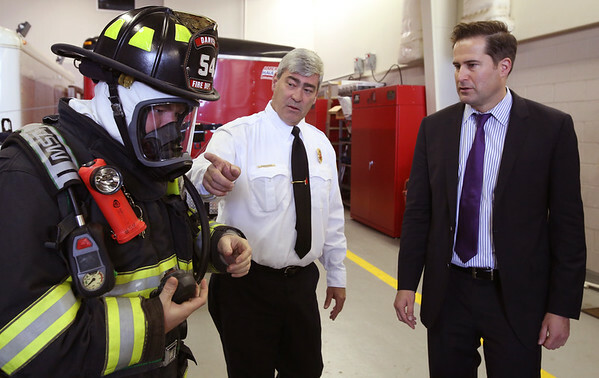 Acting Danvers fire chief James McPherson, center, speaks about the new breathing apparatuses to Congressman Moulton, right. Firefighter Jeffrey Snow, left, displays the new equipment. A $127,637 FEMA grant helped provide upgraded breathing apparatuses for the firefighters. 10/02/15.